We are your New and Pre-Owned INFINITI Dealership for Greater Atlanta. 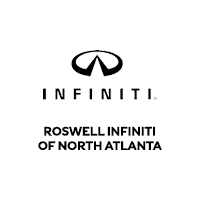 As one of the nation’s original INFINITI dealers, we have enjoyed growing alongside the wonderful community of Roswell. Our goal is to exceed your expectations. One glance at our online reviews and you’ll understand why many of our satisfied customers have been returning to buy and service their cars here. People travel from all over Georgia and the Southeast, because buying or leasing a new INFINITI from us is a pleasant and rewarding experience.